I'm posting this on my mobile from the middle of Scotland, so I'm sorry if the formatting is weird. I was too excited about this giveaway to delay posting! Details to follow under the review. This is the best book I've read since starting my blog. It's set in same world as the brilliant Grisha series, but you don't need to have read them to follow this one. A young criminal genius has put together an crew of misfits to rescue a scientist for a tidy sum of money. The only problem is that he's being held in the Ice Court, which has never been breached before. Leigh Bardugo describes it as Game of Thrones meets Ocean's 11 (or Guardians of the Galaxy if she's talking to a younger audience). There were so many great things about this book. At first I thought there might be too many characters, but they all turned out to be distinctive and fleshed out with their own stories. My favourite was Inej, an ex-circus performer wrestling between her commitment to the gang and her desire to see her family again. She felt like a unique, utterly believable character that I hope to see more off! This book was also insanely well plotted! For once I had no idea where it was going, and Kaz's twisty, ingenious plan was exciting and well thought-out. I really liked the writing style too. The third person viewpoint allowed for depth of each character, with flashbacks used well to explore their histories. It was also super witty and beautifully descriptive. This is usually where I say what I didn't like, but I genuinely can't think of anything! This is a really well plotted, amazingly written book. You should definitely buy it, or hope to win the giveaway! All you need to do to enter the giveaway is retweet/ facebook the link to this blog post (I trust ya) and subscribe to my blog by putting in your email address somewhere to the right. 'Northern Lights' came out when I was about ten, and it was my first ever book obsession. I've read the trilogy several times, and every time I've got a little more out of them. Yesterday I had the pleasure of watching Philip Pullman being interviewed as part of the wonderful Durham Book Festival. I've written up an overview of the discussion below. Apologies for anything that I've paraphrased horribly, as I've put this together from notes typed on my phone! Very early on, Pullman made it very clear that it he doesn't think an author should tell the reader what to think. When writing, he is the dictator or tyrant of his world, and has powers of life and death over it. This becomes a democracy when the book is made, because you can take what you like from it. I really enjoyed hearing about Pullman's literary influences. He's obviously stupendously well-read, and discussed his physical reaction to reading Milton as a teenager. Both Paradise Lost and Northern lights are about the coming of experience into the world of innocence. This is also a subject that William Blake deals with, the idea that your life story begins when you realise you were born into the wrong family (Pullman's words!) Pullman not only read aloud the Milton quote from Northern Lights, but could recite chunks of Milton from memory! Amazing. At two points Pullman read aloud from 'His Dark Materials' (the scene in 'Northern Lights' where Lord Asriel shows the photograph of dust, and the one in 'The Subtle Knife' where Lyra and Will meet). His readings were absolutely mesmerising, and I'd highly recommend watching if they ever turn up on Youtube. 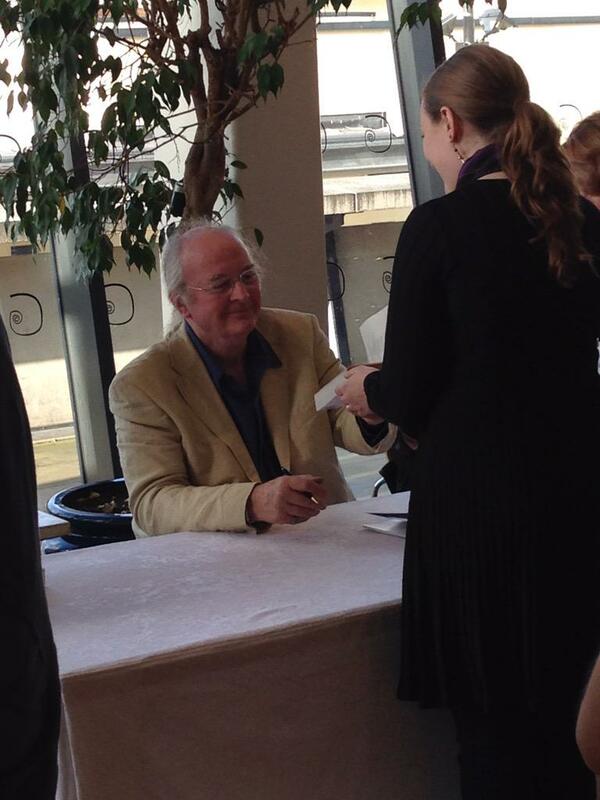 Philip Pullman's relationship with religion has been discussed at length in the media. The way he explained it was really interesting; that he has no argument with the big problems and answers brought up by religion, but only takes issue when religious people get political power. He was brought up as a Christian and it formed his mind, so he writes about Christianity because he knows it. I was also really interested in Philip Pullman's take on fairy tales. Because fairy tales weren't written, there is little development of the character and settings, or use of dialogue. The characters have no psychology, and just act rather than thinking about things. He loves the power of simple and uncluttered stories, and has written a version of Grimms' Fairytales that I will definitely check out! 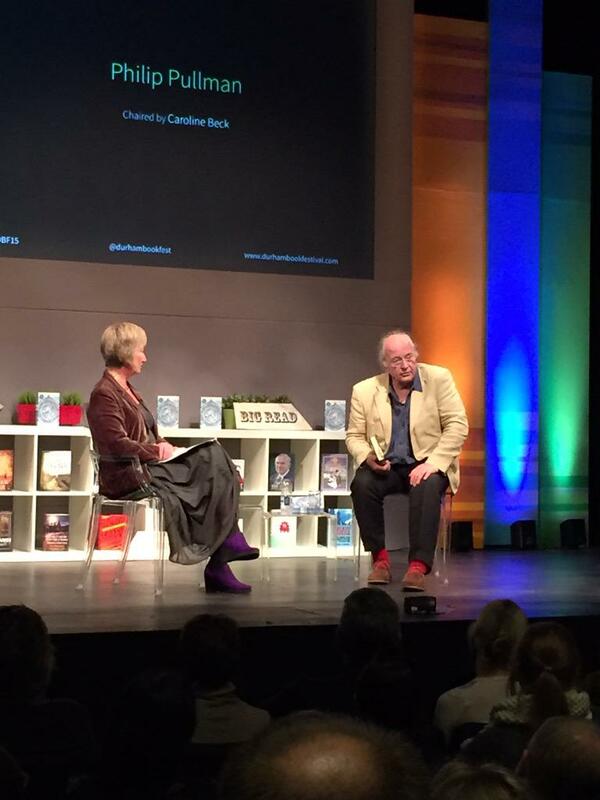 A particularly humorous moment was when Philip Pullman mentioned that his great regret is that CS Lewis died 'before he could have a go at him, and I'm ruder about Tolkien' (paraphrased). Pullman described his problem with Tolkien is that there are few women and no hints of sexuality. He also hated the ending of the Chronicles of Narnia, and felt that it betrayed the characters and readers. He disliked the treatment of Susan in the books, because she was kept out of Narnia for growing up in a normal, healthy way! I hope you enjoyed my fangirl ramblings! If anyone reading this hasn't yet discovered 'His Dark Materials', you should do so immediately and thank me later. 'Lee Westfall has a strong, loving family. She has a home she loves and a loyal steed. She has a best friend—who might want to be something more. She also has a secret. This is the second YA Western that I've reviewed recently, and if they're all as good as this one I hope there'll be a lot more. Leah is a great YA heroine. She's super strong and self-reliant, which is demonstrated when she dresses as a boy to keep safe in a hostile environment for women. I love it that she has romantic feelings and desires, but she isn't defined by them like some YA main characters. This book also balances using detailed historical research of the time period, without this weighing down the narrative. The sacrifices that people made to seek gold felt very real, as did the daily struggles of their journey. The writing is also really evocative, conjuring up clear images of the heat and the changing climate as the wagon trail moves westwards towards California. My favourite part of this book is the supernatural element. Leah's ability to sense gold is described vividly, in terms of how it works and how it makes her feel. Introducing this power in the context of the California Gold Rush is sheer brilliance, and it made this feel quite different from a lot of historical fiction that I've read. The only downside in my opinion surrounds the overarching plot conflict. Every once in a while Leah's Uncle was mentioned, the ruthless relative who wants her for her abilities. This was the impetus for Leah leaving home, and I felt there could have been more of a building sense of threat linked to him. Could there have been wanted posters everywhere maybe, or heartless outlaws in pursuit of her? This was a small issue amidst a lot of things that I loved about this book. The characters, setting and historical details were delivered so well that I'm really excited about the next book in the series. I was so happy to join this blog tour, because I adored ‘The Secret Garden’ as a child! It was one of those classics that drew me into a different world, and ever since I’ve loved visiting the gardens of old castles and stately homes (sadly I’ve never found a secret one though). The sequel is a beautifully written, delightful book that a new generation of children will love. I don’t often review middle grade books, but I really enjoyed this one. I was pleased that it felt in keeping with the original book, as I feel quite protective of my childhood favourite! The writing style was lyrical and descriptive, creating a world and characters that felt very real. Reading it reminded me of what it was like to be a child; that feeling of being so curious and excited about the world. Emmie’s narrative voice was perfect, both childlike and very evocative of the World War 2 time period. Probably my favourite part of the book was the threads linking it to ‘The Secret Garden’. Without giving too much away, there were many allusions to the first book, such as wonderfully written excerpts from Mary Lennox’s diary. I’d be hard pressed to say something I didn’t like about this book, even though I’m long past the target age range! The only issue some readers might have is that there isn’t masses of action, but I’d argue that’s the point of the book. I wanted to get wrapped up in the dream world of the secret garden again, and felt no desire for explosions or battles with mythical creatures (well, no more than usual). I would highly recommend this book to people who loved the original, and anyone who wants to be immersed in a world that is somehow whimsical, and yet true to the pain and beauty of reality. Please go out and buy this book for yourself, or somebody else who will love it! 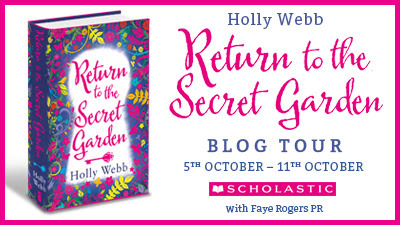 The lovely people at Scholastic are giving away a copy of The Secret Garden by Francis Hodgson Burnett and a copy of Return to the Secret Garden by Holly Webb to one lucky blog tour follower! [UK AND IRL ONLY]. Please click on the link below to enter. This is one of those books that is impossible to stop reading. I found myself yanking it out of my bag whenever I had a spare minute, and reading it until my eyes hurt at night. So what made it so compulsively readable? I think it has a lot to do with voice. 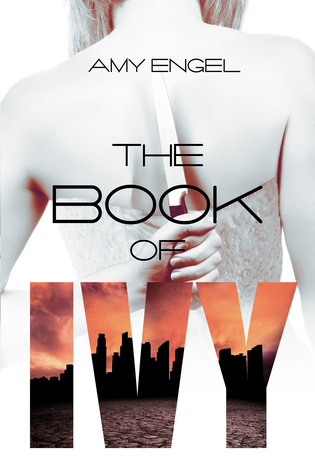 Ivy’s narrative sucked me in immediately, as it had that ring of authority that makes it seem like Ivy and her problems are real. The plot was also really tightly structured, so I didn’t experience any dips in interest. The tension levels stayed high and kept on building, and I think that’s a big part of what kept me reading so feverishly. The third and best thing I loved was the romance! Anyone who knows me/ has read any of my blogs will know this is my absolute favourite part of YA: a teasing, slow burning love story that holds out on you until the last possible moment. And all I can say about the love interest, Bishop, is thank you, Amy Engel. Thank you. The only problem with this book for me? As soon as I started reading, I knew where it was going. That wasn’t a major issue, because I enjoyed it a lot anyway. I’ve read so much YA that it takes some major outside the box thinking to surprise me. Despite that one little niggle, this is a really promising series and author that I’ll be looking out for. Fortunately the sequel ‘The Revolution of Ivy’ is out next month, so we don’t have long to wait!